Gemstone beads are such a popular choice for so many designs, however due to the way they are drilled, the holes can sometimes be very tiny. It can be so frustrating when just a few of your beautiful beads don’t quite fit onto the thread or wire you have chosen. Luckily we have just the solution... The Duluxe Diamond Coated Bead Reamer! 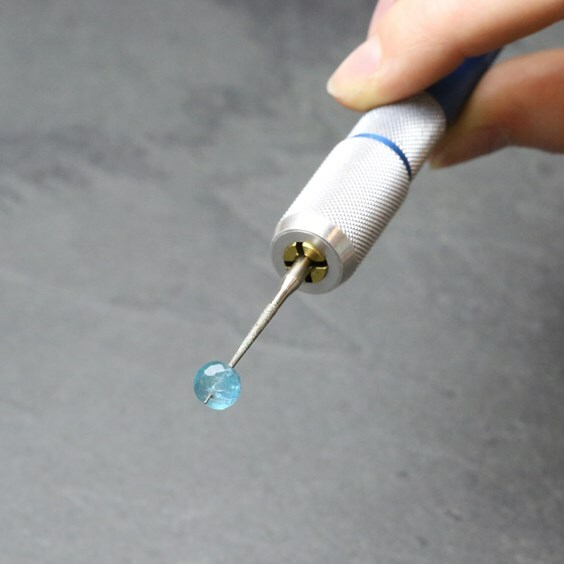 This is a handy tool that eliminates the need to rethink your choice of thread or change your design by enabling you to gently enlarge the holes in gemstone, glass or ceramic beads as well as pearls. Here we will show you how to use the bead reamer and the best techniques in successfully making your bead hole bigger. 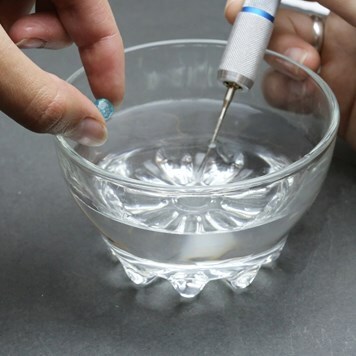 It is important not to apply any force when using the bead reamer as this puts you in risk of cracking the stone - gentle, rotating movements will enlarge the holes. 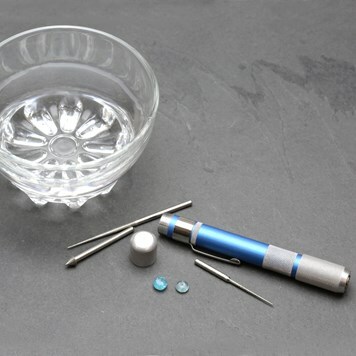 You will need to lubricate your bead and the reamer point with water to make the process easier on the gemstone. You can get a little dish of water and have it in your workspace ensuring that the bead is always wet. Insert the reamer into the bead hole and gently twist it around until you get around half way through the bead then turn the bead over and work form the other side until you reach the centre point. The last step is to flush the hole through with water to clear any dust out. The holes of certain gemstones and other materials will take longer to enlarge than others. For example gemstone beads made from quartz, agate or sea-glass are strong materials and therefore will take longer than stones such as turquoise, pearls, amber, fluorite and shells as they are softer. 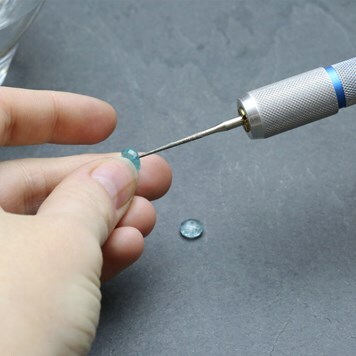 When working with gemstone beads we recommend only aiming to enlarge holes by a small amount. Gemstones have natural inclusions within them and the more you enlarge the the holes the more risk you have of the stone cracking. Always ensure you take your time and do not apply any force to the stone.